Contains "Tracking the migration and foraging dynamics of Lundy's Shearwaters"
Contains: "The breeding Stonechats of coastal habitats in South Devon"
Contains ‘The Southwest Pied Flycatcher Monitoring Network’ by Malcolm Burgess & Carl Barimore. Contains ‘First arrival dates of spring migrants at breeding sites in Devon’ by Peter J Dare. Contains ‘Additional Slapton Ley NNR Swallow data, 2002–2010’ by Dennis Elphick. Contains ‘More movements of Slapton Ley NNR wagtails – an update’ by Dennis Elphick. Contains 'Gadfly encounters off British and Irish Headlands - personal views of one of the most enigmatic seabirds', by Mark Darlaston. Contains 'Another change in the order of species - but why?' by Mike Lock & Peter Reay. Contains 'Berry Head - SeaWatch SW in 2008' by Mark Darlaston. Contains 'Trends in spring arrival dates of summer migrants to Devon', by Peter Dare. Contains 'Ups and downs on the Exe Estuary - Wigeon and Brent Goose' by David Price. Contains 'The story of Pied Flycatchers breeding in Devon', by Peter Goodfellow. Contains 'Mansands Ley: a new wetland site', by Mike Ingram. This is the first issue of a Devon Birds Journal which succeeds the long running Devon Birds Magazine. It comes in a slightly larger format. Contains 'Siskins at Stover Country Park 2005/2006' by Jon Avon. This series was the last of the Devon Birds Magazines to be published. 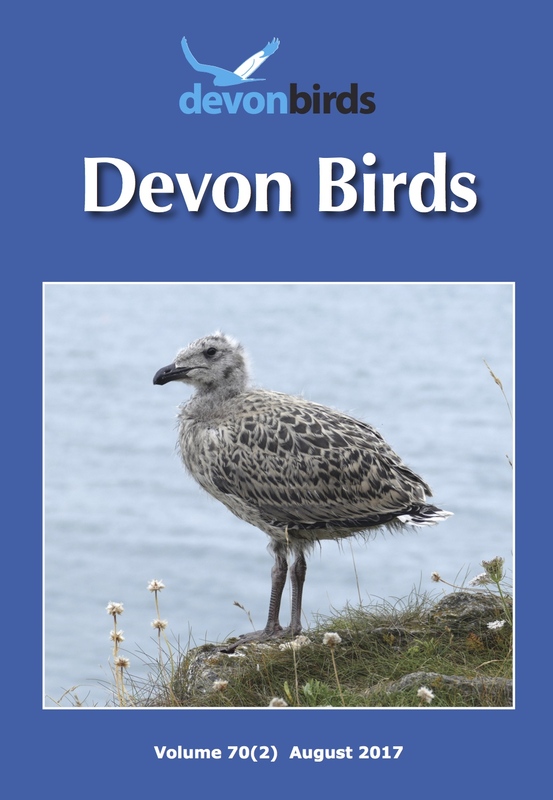 The Devon Birds Journals succeeded them from April 2007. They were the first issues to be edited by the Society's new Publishing Group and to include colour photographs within the body of the magazine. These were the first issues to contain colour, albeit only as the background to the front cover. The contents remained wholly in black and white, yet contained a broad diversity of interesting articles, photographs, line drawings, maps, book reviews and Notes and News. These issues serve as being of historical importance although only 40 to 55 years old. Not only do they cover details of bird life in Devon but also provide interesting insights into the evolution of the Society, those years ago. It's very interesting to see what's changed but also those things that haven't changed.